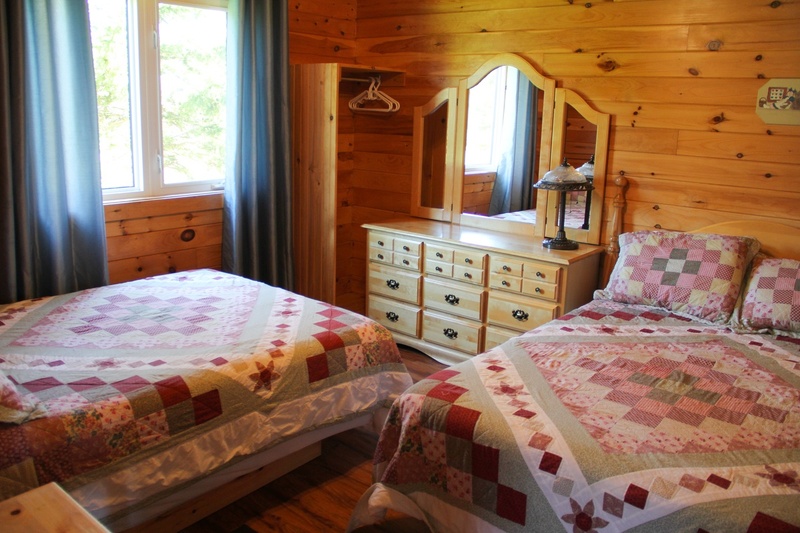 Beautifully decorated and comfortable rooms. 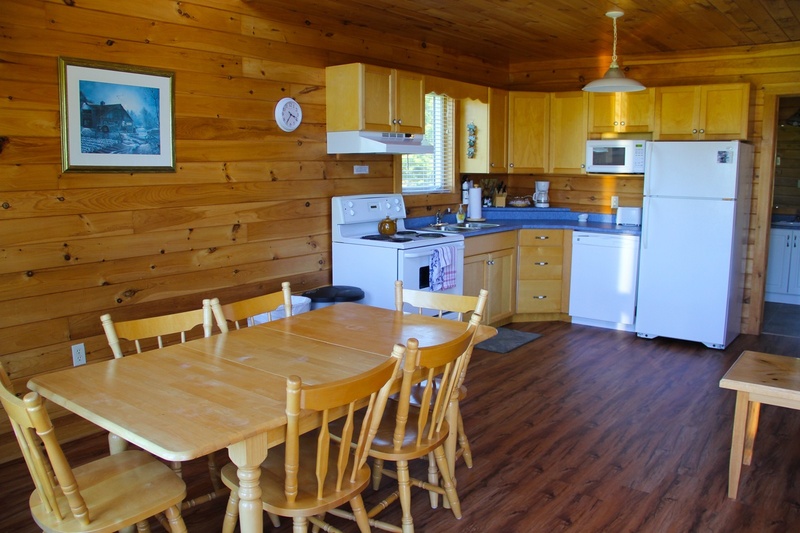 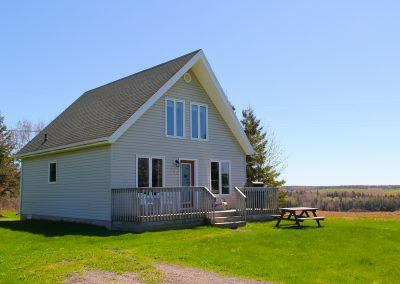 These cottages each accommodate 6 to 8 guests. 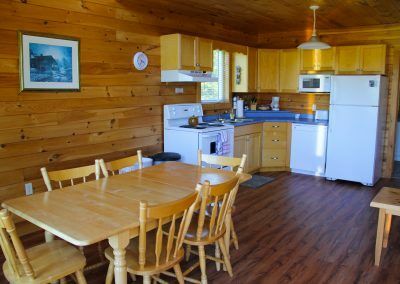 Fridge, full range stove with oven, microwave, dishwasher, toaster, coffee maker, all dishes and cooking utensils including pots and pans. 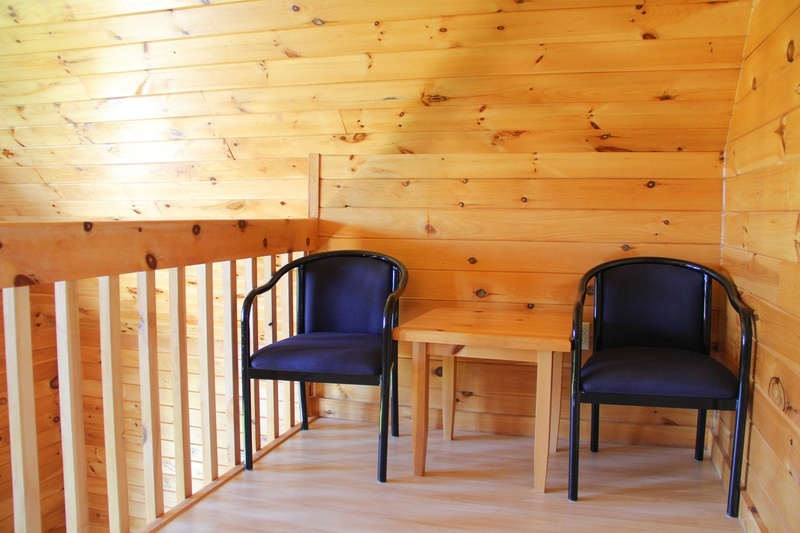 Pine drop-leaf table for seating up to 6, linen closet with cleaning supplies, broom and fire extinguisher. 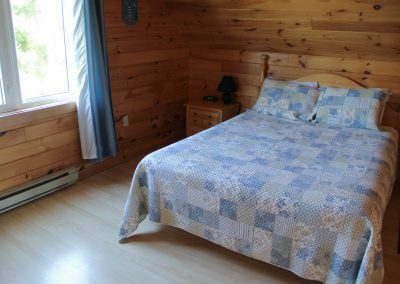 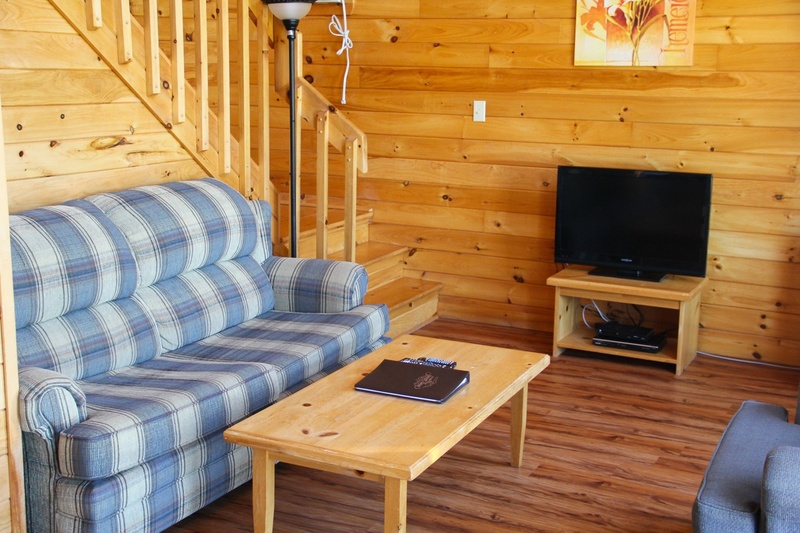 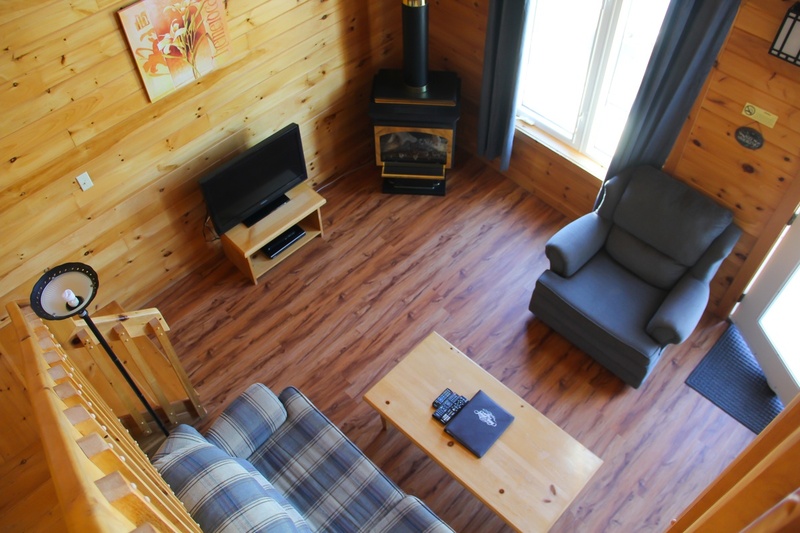 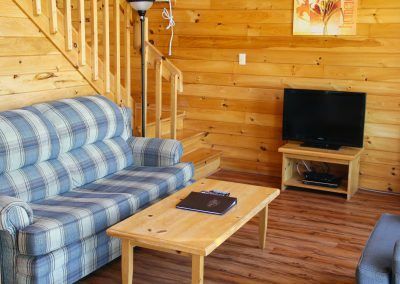 Exquisitely decorated with sofa bed and matching chair, corner fireplace, 27″ TV with satellite, DVD, air conditioning, telephone, high-speed internet. 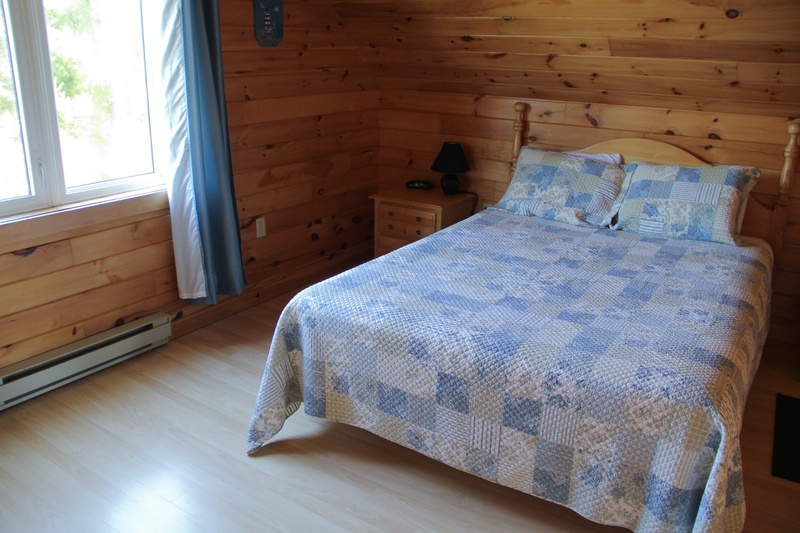 2 double beds, solid pine dressers & headboard, beautifully decorated in country charm. 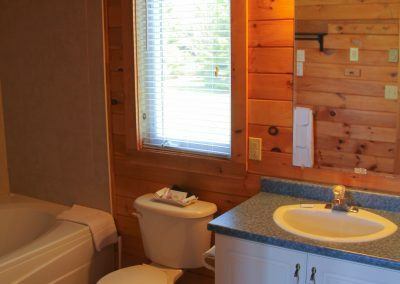 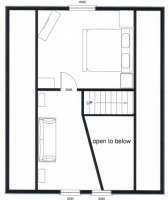 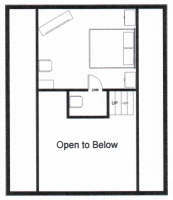 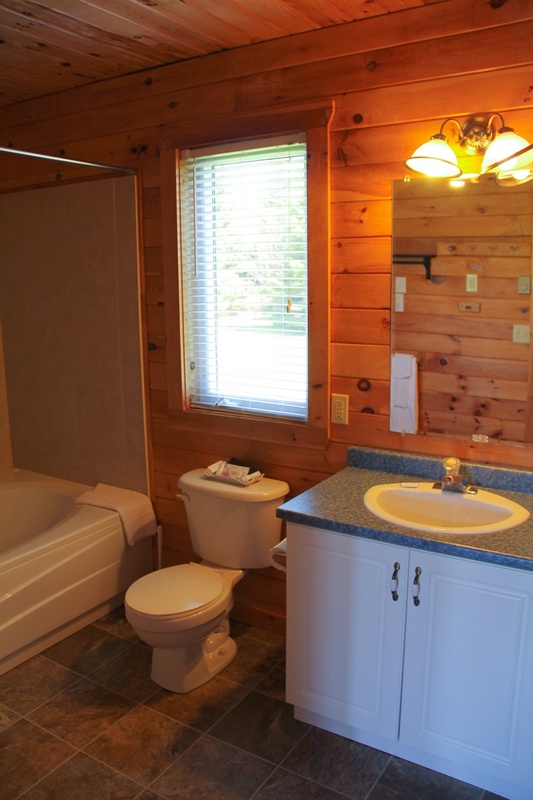 6 ft. whirlpool tub & shower, toilet, sink with vanity, linen closet with extra towels, blankets and pillows. Queen bed, pine double dresser, headboard, night tables with lamp, alarm clock and ceiling fan. 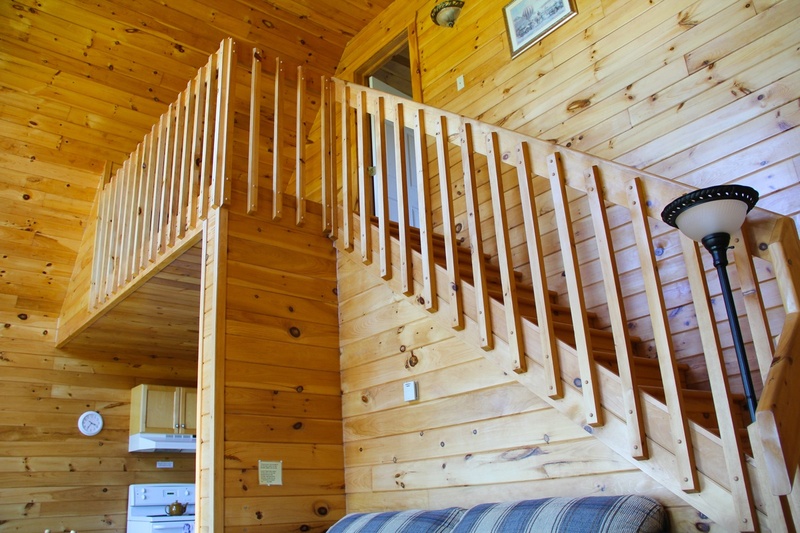 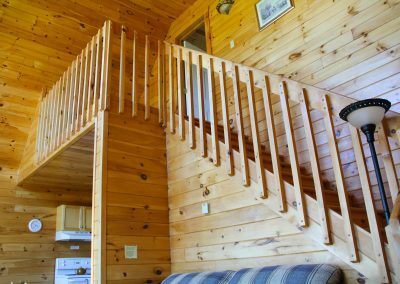 Cottage # 1 has a loft overlooking the livingroom with double pull out sofa. 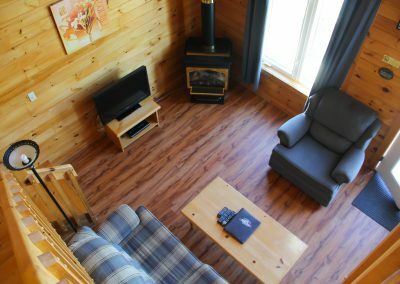 Cottage # 3 has a sitting area overlooking the diningroom and livingroom. Front deck with adirondack chairs and propane BBQ. 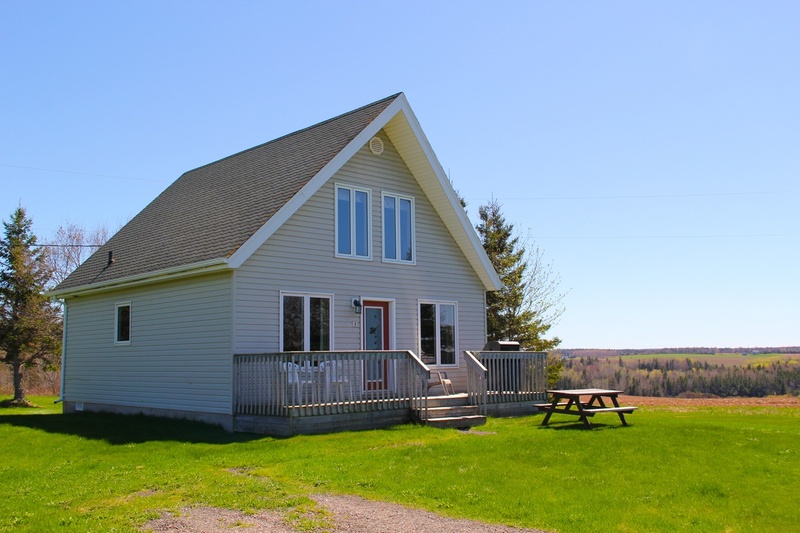 Picnic table in front yard.